Two separate investigations are set to begin into a phone scam was reported which had many mobile phone users alarmed today. Minister of Telecom and Digital Infrastructure Development Harin Fernando told Daily Mirror that both the Telecommunication Regulatory Commission (TRC) and Sri Lanka Telecom (SLT) would conduct separate investigations into the reports. “I have issued instructions to both the TRC and the SLT to investigate these reports and send me there findings," the minister said. He assured that the racketeers behind the scam will be dealt with after their identities are uncovered. Many mobile users complained that they had received overseas phone calls which were cut before they could answer them. Some users said no one had answered when they called back. 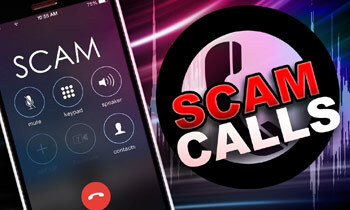 However those who returned the call had been charged an exorbitant amount of money for making the call to that number. Some mobile phone users said they had received calls from the US while others said theirs had come from the West Indies. This was a old scam. What about the scam where you sign a contract with SLT and they don't deliver any service? I too received a missed call way back in April 2017.I tried to call back and found it to be from Baluchistan and I was charged 1,435/= for that 5 seconds. This was the case in Sweden 2-3 weeks ago. A lot of people were charged huge amount of money when they called back. Swedish authorities told the people to answers any call from unknown numbers BUT NOT to call to any unknown numbers as it will cost a lot.